In a fast-paced tech environment, which software testing skills in demand will help you to remain relevant and required as a Software Tester? The tech world is rapidly changing, opening new opportunities and bringing fresh challenges. The latest trends in software development are defining the software testing skills in demand for the testers who strive to stay on top. Become acquainted with the general skills, personal traits and niche skills that will make you more attractive and in-demand in today’s software testing job market. With the spread of continuous development, DevOps and agile approaches, the role of the software tester must change accordingly. The classical agile model implies a cross-functional team, but in practice, this often means the roles are becoming more diffuse. Now, the tester not only creates test scripts, runs tests and reports defects, but takes an active part in the development process at all stages. Being an agile tester means you should be ready to have an input into requirements analysis, tasks evaluation, process improvement, and risks detection and mitigation. 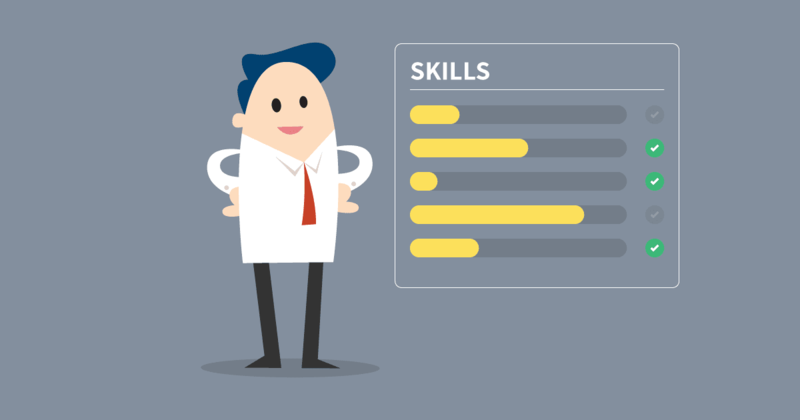 So, what qualities and skills should you develop in order to meet these requirements? Be proactive, feel responsible for the entire development process and result, understand the concept of CI/CD, DevOps and Agile, and (highly preferably) have working experience with them. Test Automation remains one of the top skills without which today’s projects (especially the large and complex ones) can hardly survive. Among the reasons are the tendency to shorten time-to-market, implementation of continuous development, and so-called ‘shift left testing’ in the software development lifecycle. For now, Selenium remains the most popular test automation framework but TDD and BDD are also trends that fit well into the agile concept. To advance in your career today, technical skills are not enough. Negotiations, business correspondence, time management, and delegation are just a few areas you may find yourself involved in. The personal development of non-technical skills (in addition to technical ones) can boost your career, make your work more efficient and your life more interesting. The role played by skillful communications can’t be overestimated as a leading soft skill. As part of an agile team, you need to collaborate closer than ever before with the development team, product owner and/or other client representatives, as well as business analysts and other stakeholders. This is also true if you are a part of a distributed team, who will rarely if ever meet face to face, where communication skills are key for successful interaction. If you work as a freelancer, communication is especially important. You need to negotiate all the terms and requirements with the client and other remote team members. Whatever your work is, you’ll always need to interact with people in one way or another, and having positive, efficient relationships is sometimes the most important part of success. If you are able (and happy) to work in a changing environment, this can be a huge plus your progress, with new tools and approaches emerging so quickly. Always be open to the new, and you’ll be the one in demand. Apart from being flexible, you need to be able to get up to speed quickly with new skills and tools. By developing an aptitude for learning you can make valuable investments in your career. To start with, you could consider one of these online software testing courses. This skill will always be in demand for a software tester, and throughout the software industry. This soft skill is about having a technical mindset and being able to dive deeper into a technical field or question if needed, not about having hard skills such as Selenium, HTML or in-depth knowledge in a network field. According to statistics, mobile has already gained more than 50% of the market worldwide. The devices are becoming even smarter with IoT, so require new approaches to testing them. Besides that, software testing tends to specialization. Niche specialists, in general, are valued more than those who appear to be ‘jacks of all trades,’ so if you already have significant experience in the area of mobile testing, consider making it your primary specialization. This is another prospective niche of interest within software testing. The importance of cybersecurity is evident these days, and the demand for higher skills and stronger software is set to increase. A branch of it, penetration testing, was found to be the fourth fastest growing, in-demand skill for the last quarter of 2017, by the freelance gig site, Upwork. Security is extremely important in the cloud as the client doesn’t own cloud assets. These are provided on-demand by the third-party (the provider of cloud services). Testing the part related to integration with cloud services, where testers don’t control this part of the environment. Configuration can’t be adjusted fully by the testers because of the same reason – they either don’t own that part of the environment or this configuration is not supported by the provider. Performance within the cloud can be another issue, as it is shared between different cloud users and is not under the control of the development team. Blockchain and Bitcoin feature as #2 and #3 on the Upwork survey, so testing related to Blockchain technology is a trend worth considering. Many companies are experimenting with how to use the Blockchain distributed ledger technology, while major businesses like Microsoft, PayPal, and Overstock, have already integrated Bitcoin payments. Big Data is another dominant trend that is closely related to IoT, Mobile and Cloud technologies listed above. With the volume of total data growing exponentially, this field has high potential now and in the near future. According to the Upwork list, Robotics ranks as the most in demand and fastest growing skill to have. While we referred to other technologies as objectives for software testing, Robotics and AI can themselves be used to help with the testing. For example, nowadays and in the near future, robotics can be applied in mobile test automation where physical action is required. AI is changing the way test scripts are created and executed, and in this regard, it can impact the role of a software tester. Another example of the recently developed products in this area is Artificial Intelligence-led quality assurance (AI-led QA). So again, the software tester who is ready to face the challenges of the future should be familiar with machine learning and data science principles and stay tuned with the new updates in these areas. One of the most important skills and qualities needed in today’s workplace is to have an open mind and an ability to learn new things. Monitoring the trends, regularly studying the blogs and reviews can keep you updated on the new developments. No-one can be expected to be excellent, or even competent, in all these areas, so the best thing to do to stay in demand is to choose one area based on your strengths. Pick the one that is interesting and challenging for you to develop and then find the opportunity to apply it in practice.